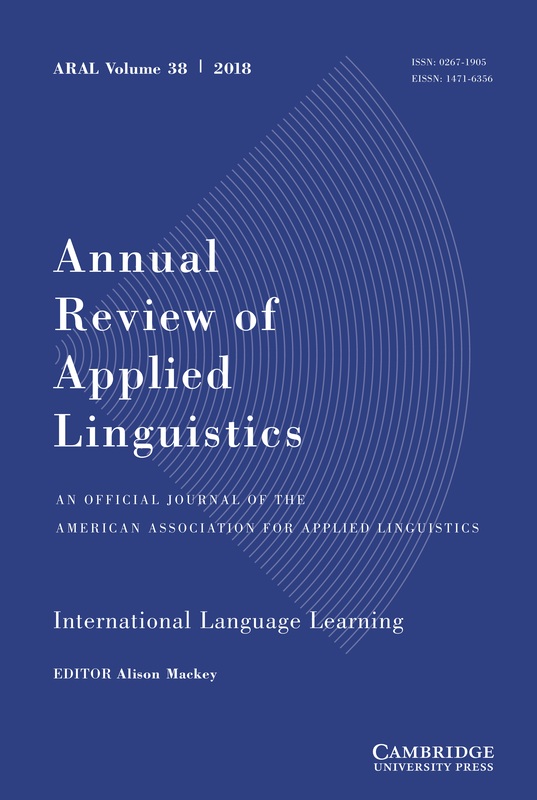 The Annual Review of Applied Linguistics (ARAL) is delighted to announce it has been ranked as the top journal (1/181) in the Linguistics category of the Journal Citation Reports © Clarivate Analytics with a 2017 Impact Factor of 4.880. All AAAL members have free online access to the journal as part of their membership (https://www.aaal.org/). To mark this news, Cambridge is making the three most-cited papers from 2017 freely available until the end of October, so you can easily forward the papers or links to colleagues or students who might not be AAAL members.